Electric stoves provide heat that is nearly instant and evenly distributed across the bottom of a pot or pan. However, the heat takes some time to dissipate. When a pot of spaghetti boils over or another liquid drips onto the hot coils, the mess quickly burns onto the coils and drip pan. Make sure the coils are completely cool and the stove-top knobs are turned off. Remove the burner coils from the stove-top by pulling them out from the connectors. Mix a few drops of dish soap with warm water in the sink or a dishpan. Dip the cloth into the water and wipe the coils. Do not submerge the coils into the water. Make a paste from baking soda with a few drops of water. 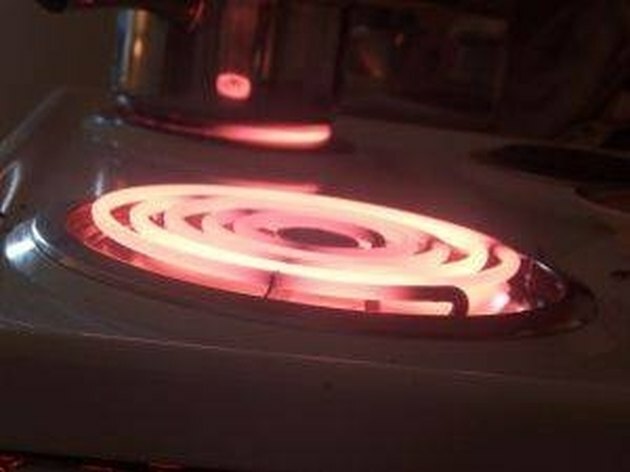 Place the burner coils onto a towel on a flat surface. Apply the baking soda paste to any burnt-on food or liquid. Allow the paste to sit on the stained area for several minutes. Remove the drip pans from the stove. Wipe the area beneath the drip pans if there is food or liquid. 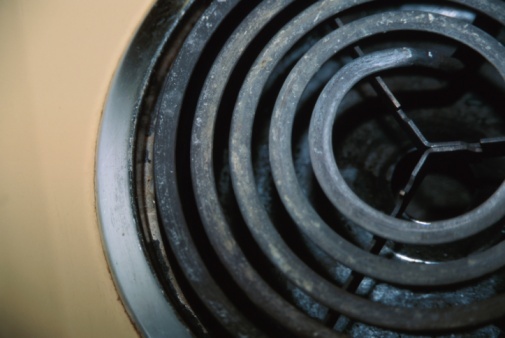 Wash the drip pans, dry them and replace them on the stove. Wipe the baking soda paste from the burner coils, scrubbing off any remaining residue. Allow them to air-dry completely, and replace them into the electrical connectors on the stove.